Alluding to the culture-reference, oncoming of winter can really get under our skin. But such small setbacks to our daily self-care should not be a hindrance. Winter is the time for some extra and intensive care for our skin. Mixed and dry skin types, such as us face the full wraith of the chilly and dry winds. But not to worry, we are here to help you with small and simple ways you can keep your skin soft and supple through the months of cheer and joy. On a normal basis, our cleanser cream are to clear off pores and dirt, which could dry out the face but not to extremes. This normal level is too much during winter as your face will feel too taut, Go for the drug store-bought moisturizing cleansers that have ingredients such as milk, shea butter and honey. These ingredients provide the skin with a moisturizing effect, keeping it smooth and protected from the dry breeze. In case of you having dry skin, winter can be tough time. But worry not, the market is well-supplied with oft and gentle fabric conditioners for your woolen sweaters and mild cleaners for warm clothes. These will ensure that the skin does not get affected by the chemicals that get seeped into these heavy clothes. As for our bodies, glycerin and milk based soaps and a quick massage of olive oil pre-shower can keep your skin protected well. During winter, feeling dry inside your mouth is quite common a phenomenon. But water can be quite chilly to be had, making your entire system feel a little shaken specially during midnight thirst. Keep a flask of a temperature control water bottle around with lukewarm water to sip on more often, This will keep your body hydrated and healthy. Dead skin lumping up or making creases over your body, specially around palms, elbow and ankles is a common winter problem. This might make your body feel dry at all times. Exfoliating body washes, soaps and home-made blends can come in handy specially during winter. Not only do they remove the dry skin without harming the skin but also resupply the skin with moisture and softness that the dry winds strip off. No one can live through winter without letting the cheerful melodies of holidays tune in. But keeping the windows open can be quite a bane when it comes to the room gets chilled. In such cases, gift yourself a nice heater to be installed in your room. Temperature control can ensure that you switch the humidity of the room as per your comfort, giving a cozy, warm and welcome aura in the house. Before hopping under the quilts, make sure your entire body has body milk massaged, feet are thoroughly scrubbed off dead cells and lips have a protective sheet of balm over it. These work overnight and gives you the gift of soft and dewy skin upon waking up. Purchase your favorite body milk, foot scrubber, oils and lip care and be ready for the winter-care. Of all the parts of our bodies, we feel the chills mostly over our legs, arms, neck and ears. 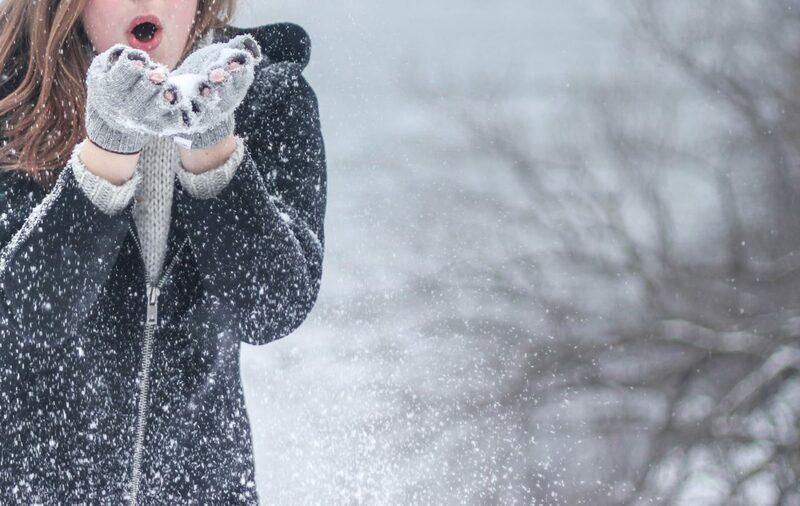 Make sure your stored gloves, scarves and muffler are thoroughly cleaned and softened to be used throughout the winter season to keep yourself feeling comfy and warm. While going out, don’t forget to use cream to shield off from the cold winds. Cold water shower can be quite nightmare to even think of! Set on the geyser or heat up a good amount of water with a water-heater before shower. Warm water shower can loosen up the stiff joints that at times taut over during the chills. Hot water shower or bathing is a muscle relaxant during winter and can keep you away from lazing to be in the bathroom in winter. Moisturizers are different and vary from skin type to skin type. While oily skin fares well with water-based moisturizers, dry to mixed skin require oil based creme. We should be aware of the sensitivity and allergies of your skin regarding the cremes we use. Oil based hep keep a supple and soft texture while water-based moisturizer balances out the skin’s water retention. Winter is the time for fresh produce and what is better than the wholesome gift of nature. In order to keep the system hydrated, consume fresh fruits like apples, kiwis and grapes. Veggies such as cabbage, lettuce and radishes are healthy and make delicious heard-warming stew for those romantic winter evenings. Winter is fun and filled with joy, making you feel the best of emotions you deserve. Gift your body the nourishment that helps you experience the season of merriment.